For those who thought Vicky Kaushal’s Masaan act last year was just a one-off flash in the pan affair, Zubaan is an eye-opener. In Zubaan, Kaushal plays Dilsher , the waylaid Sikh boy from Gurdaspur who only wants to be successful in ways that we normally describe success. So he schemes his way into the heart and home of a business tycoon Sikand (Manish Chaudhary, who exudes arrogant power the way Amrish Puri did in Subhash Ghai’s Pardes) and ends up getting what he thinks he wants. From here onwards first-time director Mozez Singh (who must be kidding about being a debutant director, because which first-timer would be able to make a film so confident and compelling?) charts Dilsher’s descent into a self-serving opportunism and then his sudden swerve into redemption. 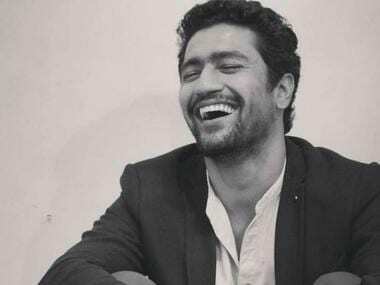 Vicky Kaushal in a Youtube screen grab of Zubaan. This journey back and forth on the morality of life has been undertaken repeatedly in films as far-ranging as Raman Kumar’s Saath Saath and Rishi Kapoor’s Aa Ab Laut Chalen. What sets Zubaan apart is the director’s fusion of guilt and atonement without faltering even once in putting forward a cogent argument for why the over-reachers of the world do what they do to get where they think they want to go. Of course, the fact that Vickey Kaushal plays the protagonist helps considerably in making director Mozez Singh’s job a lot easier. First Masaan and now Zubaan, Kaushal proves beyond doubt that he is among the most important acting talent to have touched base in Hindi cinema during the last decade. His command over his stammering speech left me stammering for words of praise. Kaushal’s Dilsher is a portrait of self-destructive ambitions. Dilsher is stammering, fumbling bundle of self-regard. We know he will fall; the brilliant script (Sumit Roy, Mozez Singh) catches hold of Dilsher before he hits the ground. The last few scenes of the film when Dilsher heads to his village, and rediscovers his roots, is individuated by a sharp sense of musical confluence where the traditional sound of Gurbani meets a rock-stadium outburst. This cloudburst of musical effusion is composed by an impressively versatile composer Ashutosh Phatak, who brings to the film a sense of universality that one seeks and finds in music. It’s music that provides an inner tranquility to Dilsher’s troubled soul. It takes a series of random run-ins with the fey Amira (Sara Jane Dias) for Dilsher to understand why he stops stammering only when he is singing. Zubaan is a film that never allows itself to be governed by its not-inconsiderable baggage of subtexts. The ideas of running away from one’s root in the quest of worldly ambitions is nailed by the director’s confident command over his characters’ destiny. If Dilsher is the kind of young hero who must fall to rise again, there is Dilsher’s hero the business tycoon Sikand, who is too lost in the labyrinth of his dreams to know what a nightmarish world he has created around himself. The film’s pre-finale confrontational moment between Dilsher and his erstwhile idol the tycoon Sikand is shot with a firm grip over the grammar of the emotions that underline the dialogue. 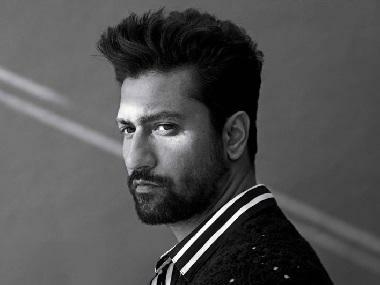 Here, more than anywhere else, we realize what an evolved actor Vicky Kaushal is, and how good cinema has come to depend on his abilities over just two films. The film is shot in several starkly contrasting landscapes. Cinematographer Swapnil Sonawane leans on the luminous without getting swept into the poetry of the moment. The austere odyssey takes us from the serene spirituality of the gurdwara in Hoshiarpur to the deserts of Rajasthan, where Amira tries to forget her dead brother. Bankruptcy of the soul is manifested in visual images and musical pieces which try to add up and make sense of that puzzle which know to be life. Besides an outstandingly contemplative performance by Vickey Kaushal, Zubaan gives us a brand new directorial talent Mozez Singh (again,is this really his first film?!) Mozez has a rare ability to create a drama of dissent in his plot without resorting to excessive melodrama. There are passages in Zubaan where we see the director’s vision of an individual held ransom by his ambitions, and we are shaken in a rejuvenating way. Zubaan is an exhilarating journey of self-discovery, and far far more accomplished work that this week’s other release Prakash Jha’s Jai Gangaajal.